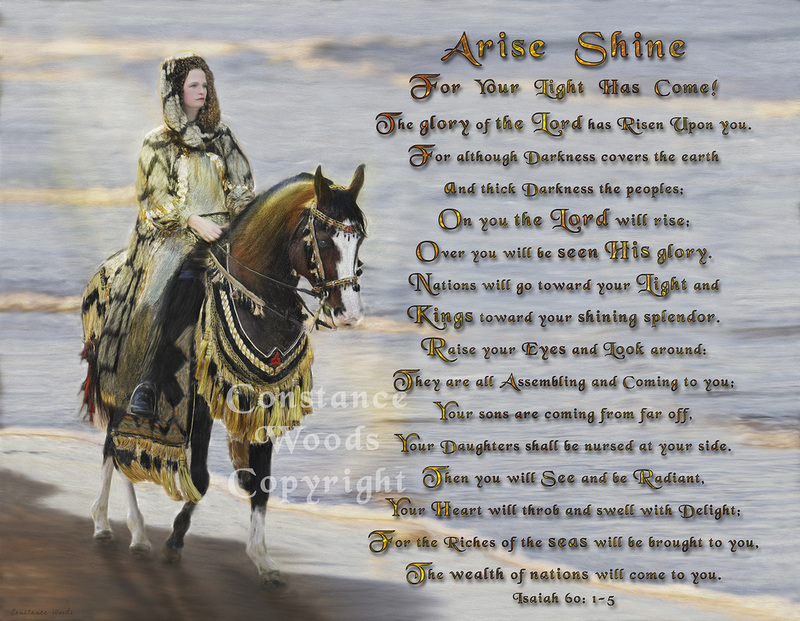 "Arise Shine for your light has come! The glory of the Lord has risen upon you. For although darkness covers the earth and thick darkness the peoples On you the Lord will rise. Over you will be seen His glory. Nations will go toward your light and kings toward your shining splendor. Raise your eyes and look around. They are all assembling and coming to you. Your sons are coming from far off. Your daughters shall be nursed at your side. Then you will see and be radiant. Your heart will throb and swell with delight. For the riches of the seas will be brought to you. The wealth of nations will come to you."